It is crucial to consider view through conversions because it helps to monitor the indirect value that your Google Display Network Campaigns are delivering. View through conversions measures the performance of your display campaigns i.e. people who saw your ad on display network websites but did not click on your ad. It is crucial to consider view through conversions because it helps to monitor the indirect value that your Google Display Network Campaigns are delivering. 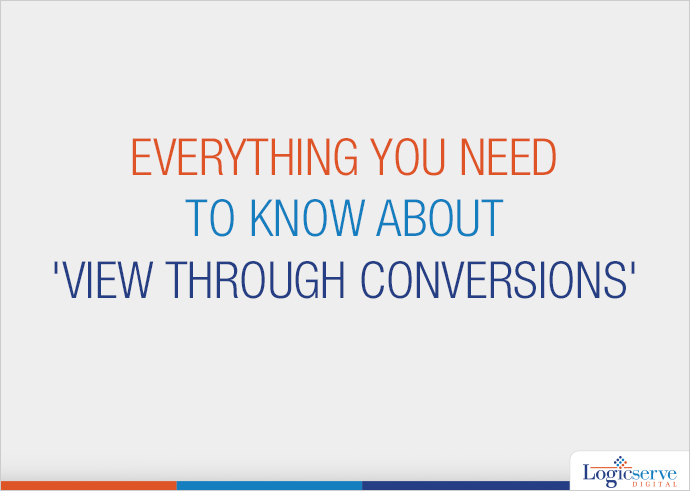 View Through Conversions records the number of conversions that happened within the 30 days window period after a user saw your ad, but did not click on it and resulted in a conversion from some other channel apart from Paid Media i.e. a conversion from Organic, Direct, Referral, etc. View-through conversions are tracked through the AdSense cookie, and they’re only reported for Display ads on the Google Content Network. They are not reported for Search Campaigns or text creatives in content campaigns.